Create precise and detailed hair-like strokes with this ultra-slim, retractable tip pencil and attached spoolie. Spot fill sparse areas and create a perfectly defined arch with this blendable, non-greasy, smudge resistant formula. Use the spooled end to brush your brow hair up vertically and draw a thin line along your hairline of your lower arch, then brush your brow hair down and define the top of your brow arch in the same way. Fill in any gaps or sparse areas and blend the color through your brows with the brush. What is Averie's brow pencil? An ultra-slim, retractable brow pencil in 4 shades. Create precise and detailed hair-like strokes, spot fill sparse areas, and create a perfectly defined arch with this blendable, non-greasy, smudge resistant formula. What colors does Averie's Brow Pencil come in? How does the averie's brow pencil work? WHAT INGREDIENTS ARE IN averie's brow pencil? WHAT IS averie's brow pencil NET WEIGHT? TELL ME WHAT MAKES averie's brow pencil SO AMAZING? WHAT ARE THE BENEFITS OF averie's brow pencil? How much does averie's brow pencil cost? Where can I purchase averie's brow pencil? 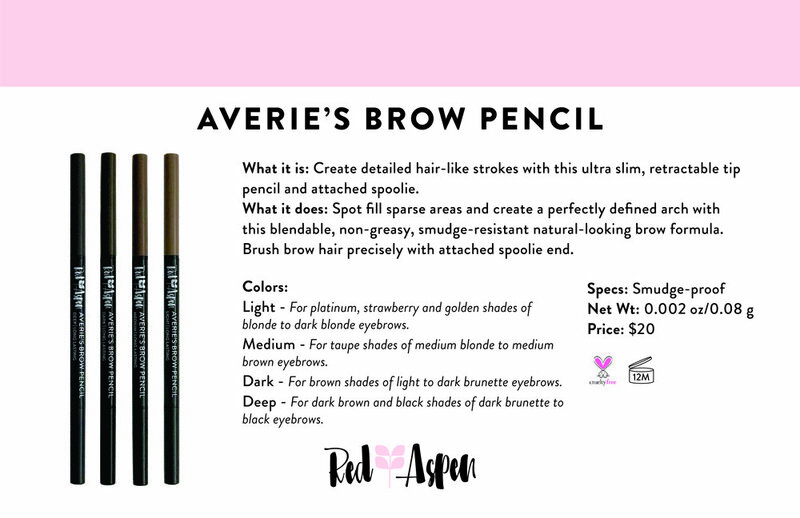 Is averie's brow pencil PV eligible? 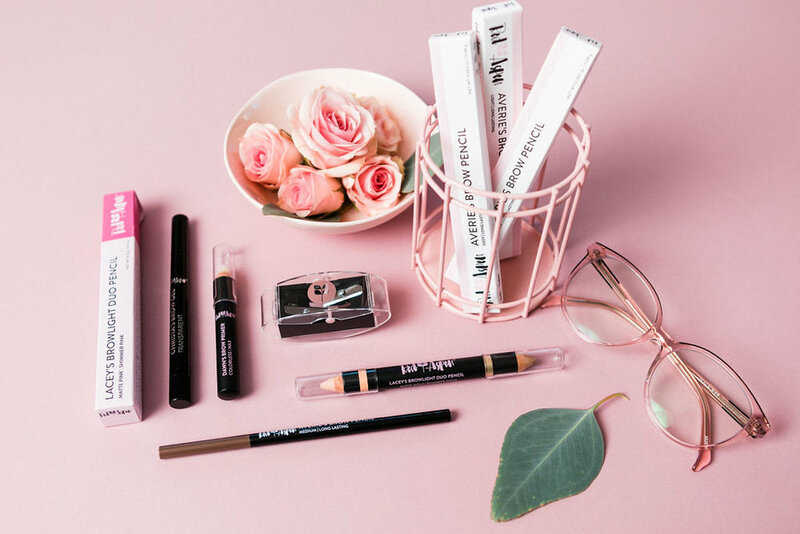 Can you add averie's brow pencil to your Loyalty Box?